August 17th. 2018. 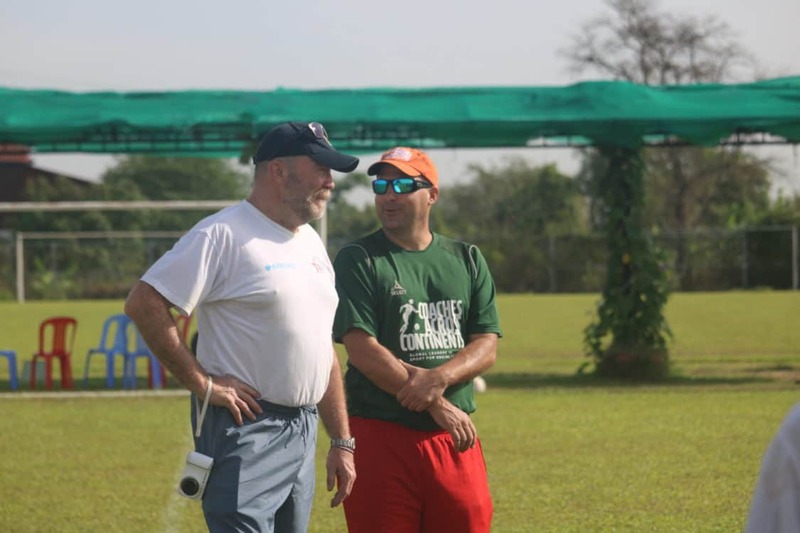 Coaches Across Continents CEO, Brian Suskiewicz, writes about his time On-Field with ISF Cambodia working with some incredible participants and people. This past week marked a new phase in the CAC/ISF partnership. At the end of two consecutive Hat-Trick Initiatives (Chance to Choice and ASK for Choice), CAC is now focused almost exclusively on the Process Consultancy Strategic Resources that we can provide to such a distinguished partner. Meanwhile, On-Field the ISF coaches ran the coaching education course using a combination of CAC curriculum and ISF-developed games alongside CAC’s Self-Directed Learning methodology to create Education Outside the Classroom. Seeing the staff of ISF taking full control of the On-Field training for over 100 local coaches showed this partnership had reached a new level. Already the ISF team are planning another On-Field coaching education at the end of this month in the provinces for coaches in rural communities. Working for the past two weeks both prior, during, and after the week of On-Field training was myself, Chief Executive Strategist Brian Suskiewicz. In addition to observing and mentoring the ISF coaches On-Field, strategic meetings were held with key staff, school administration, the ISF country program manager Vicheka Chourp, ISF trustee Leo Brogan, and other ISF supporters one of which flew in for meetings from Hong Kong. Key topics that our process consultancy covered was developing their soccer program M&E, and then how to use that information to better tell the impact their soccer program is having. 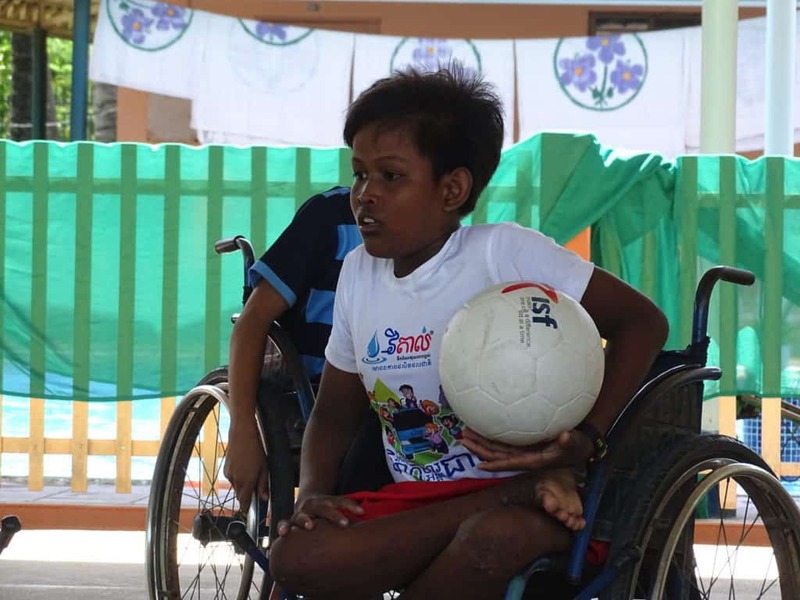 This includes their work with 4,000+ children in Phnom Penh creating Education Outside the Classroom, as well as their exemplary work with all-abilities children that earned them a 2018 Beyond Sport Award shortlist (winner announced September 12 in NYC). We also mapped out ways to continue working together through potential joint-funding opportunities, which will combine the expertise of both organizations. And finally we discussed internal improvements using our Workplace platform to inform our partners about webinars, monthly UN SDG curriculum, child and women’s rights policy creation, UN Global Days, Youth Leadership Courses like our MJYL program, and more. These are all a part of our 28 year-round strategic resources that CAC uses to help our partners develop the organizational development and individual professional development in order to best impact their communities. Finally, it was a great personal experience for me. Six years ago ISF initiated a conversation with me and CAC and our partnership began. In these years we have seen the ISF soccer program grow into an initiative that magnifies their work in their two schools, with their soccer program creating Education Outside the Classroom. The ISF Soccer program also hosts domestic and international soccer events including the Ian Thompson Memorial Boys Tournament, the Goldman Sachs Girls Tournament, and the All-Abilities tournament each year, as well as the impact they are having on hundreds of local coaches and thousands of children annually. Fortunately, we will see each other again soon in New York City on September 12th, when the Beyond Sport Award Winners are announced. Fingers crossed for ISF and all our six partners (plus ourselves) who were shortlisted!